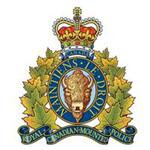 Turner Valley RCMP press release - RCMP are currently on the scene of a collision involving a semi truck rollover at 2:40 pm, Tuesday, October 17. The location of the collision is on Highway 22 near Chain Lakes. RCMP are advising motorists travelling northbound or southbound on Highway 22 to drive cautiously as the winds are extremely high.